Olivier Verwest, shareholder of Traduco has established TGS in 2015. Olivier Verwest is CEO and managing director of TGS. 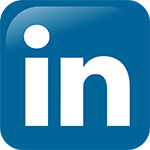 Olivier has worldwide experience in maintenance and asset management issues in the Oil & Gas as well Chemicals. At the moment we are growing strongly forward in the USA together with our AMprover® representative partners. Our goal is to grow worldwide, step by step, starting with trained BA’s (business angels) in the continents (USA, Europe, Asia, Middle East, Japan, China, Australia and the Pacific). These BA’s are our representatives for AMprover® in the continents. AMprover® is the innovative software package of Traduco that assesses and helps manage risks in your business processes. 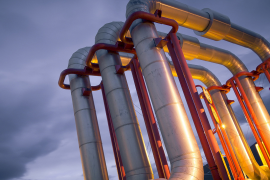 Partners typically focus on Oil & Gas global markets and are industry-leading Asset Management firms that provide AMprover® solutions and/or services. 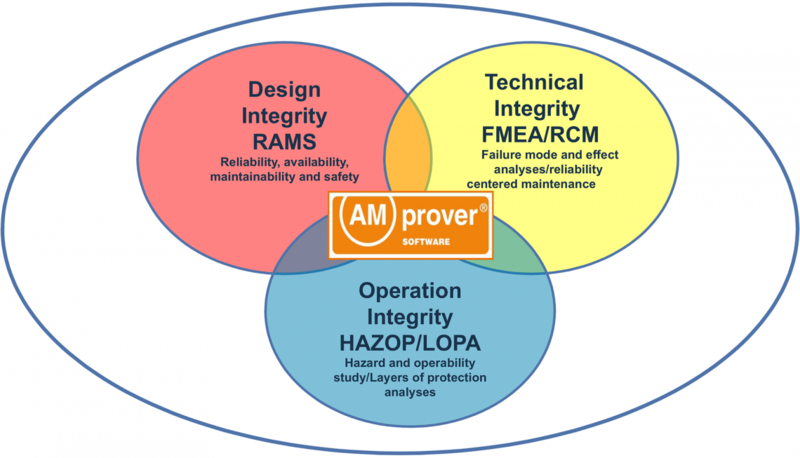 AMprover® is the innovative software package of Traduco that assesses and helps manage risks in your business processes. Our software offers insight, overview and control. 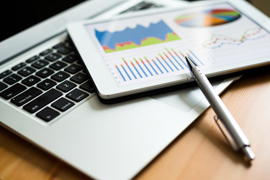 If you know what the risks are and how you can manage them cost effectively, you improve your cost structure by optimising the performance of your assets. For example the cost effective management and maintenance of your buildings, installations, production lines, facilities, infrastructure or your total factory. But also the optimum safety and quality of people, environment and processes. 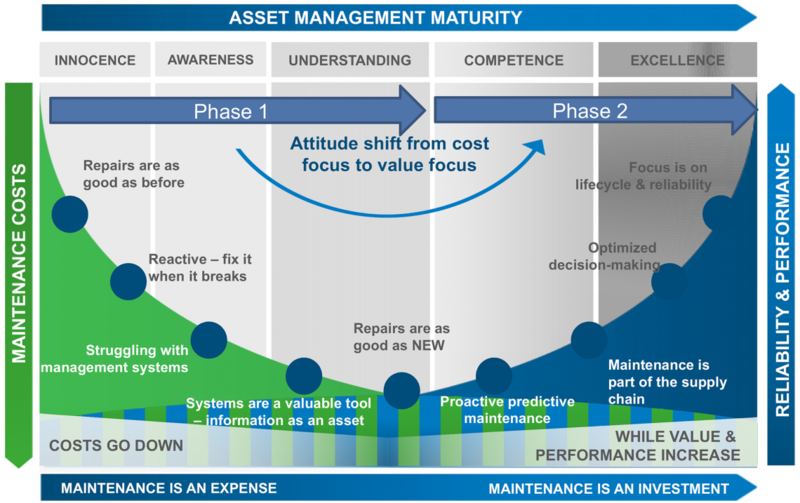 With AMprover® you get a grip on all the facets of Asset Management. The American Council of Engineering Companies (ACEC) is the voice of America’s engineering industry. Council members – numbering more than 5,000 firms representing more than 500,000 employees throughout the country. AMprover had won the gold award from ACEC in 2013 with the KMS project for the port of Rotterdam. TGS Turnkey Solutions for Risk & Reliability Analysis. Maintenance and Inspection managers in the Oil & Gas and Chemical industry, whether responsible for greenfield projects or brownfield installations, have to manage huge volumes of information. They need real insight into the failure behavior of their assets, and into required risk mitigation measures to avoid any unwanted events. But standalone solutions often remain a paper exercise, failing to materialize into concrete solutions to asset management problems. 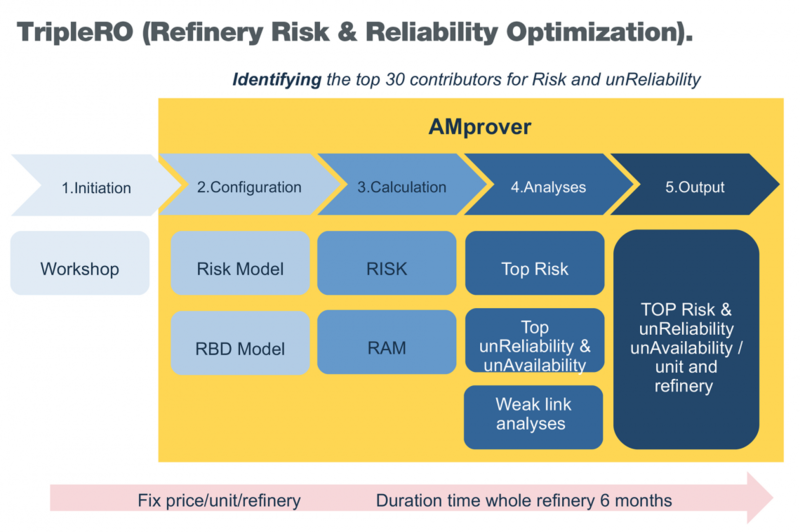 De big question for complex Assets as Refinery are always: How do we know what to work on and when, to maintain a safe and reliable operation and still make a profit? The Answer: By identifying the top 10/20/30 contributors for risk and (un)reliability, and properly addressing them! 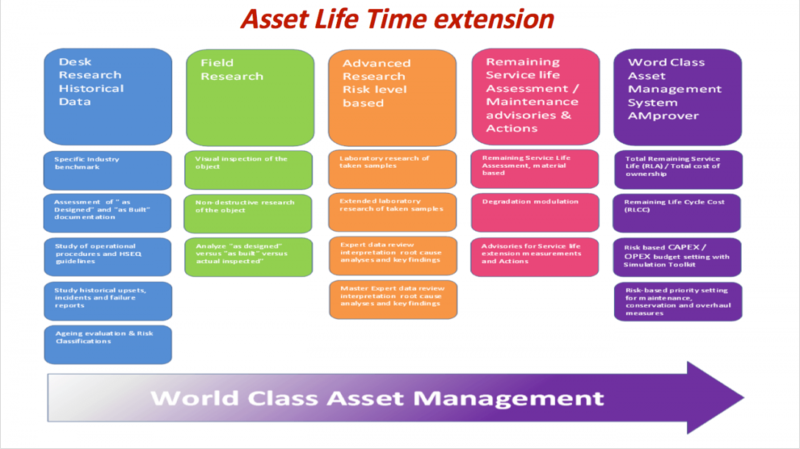 Asset Management is a total view of the management and maintenance of your assets. If you apply this philosophy over the whole life cycle of capital investments, Asset Management contributes to the ultimate aim: obtaining an optimum return. To obtain the optimum return, you focus primarily on performance, risks and costs.